6 Incredible Destinations That Can Be Visited from Split, Croatia. 1. Plitvice Lakes National Park. Plitvice Lakes National Park is a forest reserve in central Croatia that was declared a UNESCO World Heritage Site in 1979. It is located 243 kilometers from the town of Split, and it will take about 2 hours and 40 minutes by car to get there. However, the trip is incredibly worth it. Plitvice Lakes National Park is known around the world for its sixteen lakes that are interconnected by a series of waterfalls. All of the lakes are filled with clear aquamarine water, and the entire reserve is home to luscious green forests and diverse flora and fauna. During the summer, it’s a beautiful place to visit to go swimming, boating, and hiking. 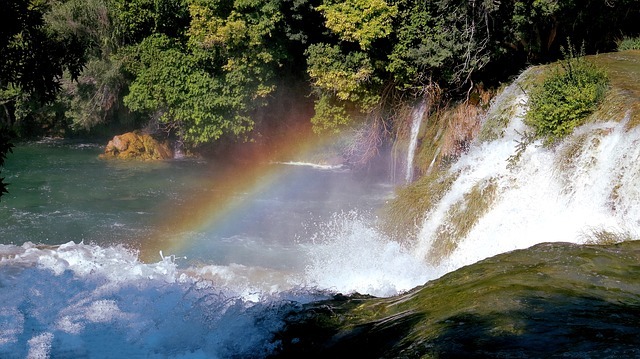 Krka National Park can be found in southern Croatia, along the Krka River. It is known for several tourist spots, including Skradisnki Buk, a series of waterfalls that cascade one after the other. The tallest of these waterfalls is 39 feet. Aside from Skradisnki Buk, tourists are also intrigued by the Visovac Monastery in the national park, which is located in a tiny island in the middle of a huge lake. Today, this historical Franciscan building has a restaurant where you can dine and a museum where you can find religious relics and artifacts. Other points of interest inside Krka National Park include the early Croatian fortresses of Trosenj and Necven, the Sibenik Bridge, and Cikola River. Krka National Park is about 85 kilometers from Split, Croatia, which is about a 90-minute car drive. Known as the pearl of the Adriatic, Dubrovnik is a small coastal city in southern Croatia. Its location gives it great access to the Adriatic Sea, but the view of the water isn’t its only selling point. Dubrovnik is brimming with history and architecture that dates back to the middle ages. As you stroll along Old Town, you’ll feel like you’ve traveled back in time. In fact, because of its historical architecture, the popular HBO show Game of Thrones has filmed in certain locations around the city. If you’re a fan of the series, you will have a blast recreating scenes in the places where the actors actually shot them. Dubrovnik is a three-hour drive from Split, Croatia. You need to travel about 235 kilometers to get to the city, but the history, architecture, and the chance to recreate Game of Thrones scenes will make it all worth it. Hvar is an old town in an Adriatic island with the same name. It is about 53 kilometers from Split, Croatia, and you will have to travel for an hour and a half, including a ferry ride, to get here. But if you do travel to this island town, you won’t regret it. It is stunning as an ecotourism destination, but it is also rich in historical significance. When in Hvar, visit St. Stephen’s square, home of the 16th-century cathedral from which it was named after. You should also visit Spanjola Fortress, a hilltop fortress that will give you panoramic views of the town, the island, and the sea. 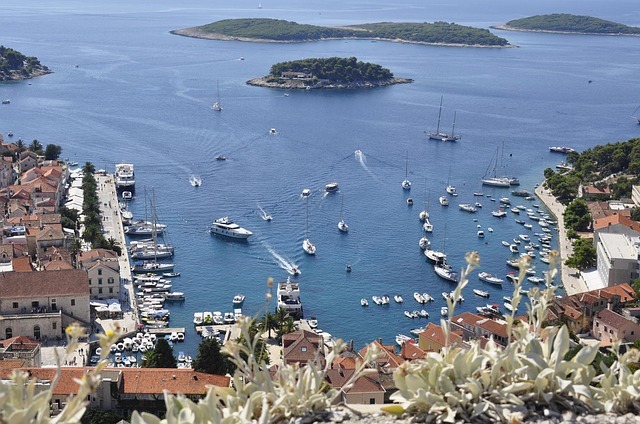 Hvar is also close to other islands in the Adriatic Sea, which makes it a great stop if you want to go island hopping. Bol is a town in the island of Brac that is most popular for its windsurfing destination, Golden Horn beach. Aside from this white sand beach, you should also hike to Vidova Gora, the highest peak on the island and all of the Adriatic islands, to have the best view of the surrounding natural scenery and the aquamarine water that surrounds it. Or if you want to have a taste delicious local wine, stop by Stina Winery on the island to do so. 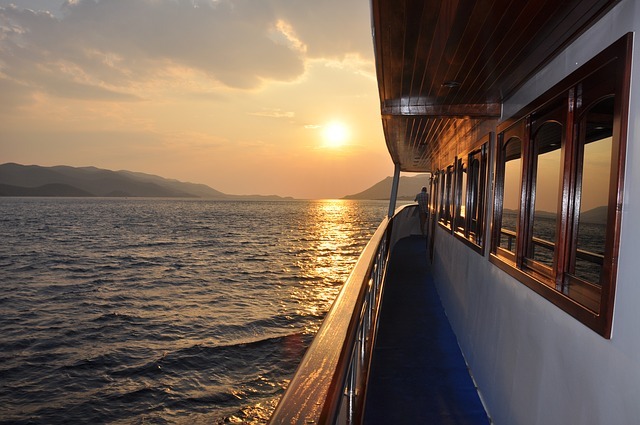 Bol is a two-hour trip from Split, Croatia. It requires a ferry ride to travel 53.4 kilometers to this town. 6. Blue Cave, Bisevo Island. Blue Cave is located in the small island of Bisevo in the Adriatic Sea. It got its name from the blue light that illuminates the interior of the cave when sunlight shines through the aquamarine water of the sea and then bounces off its white limestone floors and walls. Its an enchanting experience to explore the cave and something that you shouldn’t miss. Typically, island hopping tours in this area include a boat ride to the cave, but a private tour may give you more time to appreciate this natural wonder. 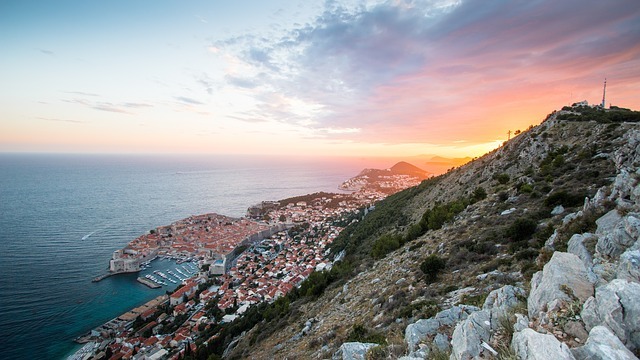 From interconnected lakes to magical caves, Game of Thrones sets, fortress-like towns, windsurfing, and hiking, Croatia is a tourist destination filled with adventures that are waiting for you to experience. In your next visit to Split, Croatia, partake in these exciting adventures! About the Author: Hannah is an avid traveler who is based in New York City and has visited more than 75+ countries. She fell head over heels in love with Croatia during her first visit to Split back in 2010 and has spent just about every summer in the city ever since. hello arti....i m vinayak..and i read ur all blogs....and i inspired by your blogs....and i decided to start my travel story blogs.....can you help for blogging?? Of all these Croatian destinations it is Dubrovnik that seems to be popular amongst us Brits. For myself, of the destinations you feature here it is Hvar Island that appeals most to me.